I have a small project. My granddaughters came up for a visit a week or so ago and the youngest was quite taken with my new Asus Netbook. She decided she wanted one and told me she had almost enough saved up from her Birthday and Christmas cheques over the last couple of years. She is very good with money and has saved every nickel! She has decided this is what she wants to spend her money on as she is tired of waiting in line to use the family computer and then getting kicked off when someone else has something more important to do. I ordered her one on the Internet last night and it should be here in a couple of days. Maybe tomorrow. I will strip it of the bloat and 30 day trials of software, load it up with Avast! anti-virus, Ccleaner and Open Office. I will make a Ghost backup of the whole thing that I will hang onto and, after giving her my standard warning about downloading games and basic Internet safety for kids, I will send it on to her. I eBay’d a New Camera! I have been coveting a Nikon D200 ever since the D300 came out a couple of years ago and the price of the D200 started to drop. I have been watching eBay and Craigslist carefully keeping track of the current price. When they came out five years ago they were over $2000 and have recently been selling on eBay in the $600 - $800 range. A few days ago I started watching one that was being sold from Quebec. It was advertised as being in “mint” condition with low shutter activations. I thought it might end up selling at the low end of the price range as most buyers are in the USA and do not like shopping outside of their own country. The price stagnated at $365 for some time so I put in a bid of $405 and was immediately outbid. It had three days left to go and I did not want to start or contribute to a price war so I did nothing further. The price inched up $5 or $10 at a time to $500 where it stopped. I set up my “Sniper” program to put in a bid of up to $621 USA (the most I was willing to pay) four seconds before bidding closed at 5:00AM this morning. I awoke at 8:30 to find I had won the camera for $612. If it is truly in “mint” condition, this is a very good price. I used my PayPal account to pay for it and it will be shipped as soon as the payment clears. I will hang onto the old D70s for this winter and then sell it next summer. They are going for +/- $300 USA on eBay right now for the body only. I am spending today downloading manuals, user guides and software updates for the new camera. Life Is Good! Here is a tip I borrowed from my friend John Calypso's Viva Veracruz Blog. Mexican hotels hate putting in more electrical outlets than they need. I guess they are afraid you will bring your own microwave or hotplate. One of these low tech devices will come in very handy for plugging in a laptop, shaver or hair dryer. Thanks John! Most electrical outlets in Mexico are of the two hole variety and when you try to plug in your laptop, you will be one hole short. These are cheap, easy to figure out and work well in conjunction with John's adapter above! My computer bag has both. It plugs into the outlet and tells you if it is safe. It identifies lack of ground and wiring errors. When you find a problem you can move to another spot before you hook everything up and then get a shock from the door knob! Very handy. From terrorists that is. We live on the Inside Passage of Vancouver Island, looking out over the water towards Powell River which is on the mainland. Whistler is a hundred KM's or so south of Powell River. Whistler, as you know, is where the 2010 Winter Olympics will be held in February. Recently there have been more and more "training" exercises held by the Canadian Armed Forces who are preparing for I don't know what. There are screaming overflights of jet fighters and huge helicopters throbbing past almost every day. They usually fly along the beach which is only a hundred feet from our house, causing the house to shake in the process. Yesterday a huge bomber made several circuits over the water out front. I can only hope it did not have bombs aboard! I guess an international event like the Olympics is a perfect excuse for our armed forces to spend millions of taxpayers cash to show their antiquated equipment off to the world but enough already! Pick up your toys and go play somewhere else. Spend my tax money on trying to figure out how to ensure a little snow falls for the occasion. Downhill ski racing in a rainstorm on gravel will look good on TV and will really sell our Province as a winter destination! The Olympics will be here. It will cost us millions (maybe with a "B") and it will take decades to pay it off, if ever. I voted "no" for having the damn things here in the first place but as usual I voted with the minority. Either that or they borrowed the "George Bush" software to count the vote. "One for you, two for me ......."
I am happy that we will be in Mexico when they are on. We will watch them on StarChoice from somewhere on the Yucatan while enjoying the tropical sunshine. No one I know would be able to afford a ticket to go and see it in person anyway. It will be a good time to be away from Canada! I bought my vehicle insurance for Mexico today. I scanned the registrations for the motorhome, car dolly and Honda and emailed them off to our insurance agent in Arizona. We have been using San Xavier since we made our first trip down south and they have given us great service and good prices. Six months insurance for everything cost only $620, less than it would cost for the same period in Canada. When we get home, we send our Canadian insurance company proof that the vehicles were out of Canada and the USA and had alternate insurance and we get a refund for the time we were in Mexico. This will amount to more that we paid for the Mexican insurance. Considering my record of driving in Mexico, I was half expecting some additional cost but it did not happen. As I understand the rules in Mexico, your driving record cannot be used when you apply for new insurance. Lucky Me!! A reader has asked for contact information for San Xavier Mexico Insurance. Click on the link and it will take you to their website. That price reflects values of $50K for the motorhome, $2K for the dolly and liability only for the old beat up Honda. No, me hearties, it is not Talk Like A Pirate Day, that was on the 19th and I missed it. Now I am talking about Avast! the anti virus program. I have used the free version of AVG for so long I can hardly remember anything else. I went to it when my Norton Anti-Virus subscription ran out and I was looking for a free replacement and settled on AVG. I had AVG on all three of our computers and installed it on all the other computers I set up for family and friends. It has served me well and I can only recall one virus that got through and that was my own fault. However, some computer expert friends of mine have directed me to some recent reports comparing anti-virus programs and I noticed that AVG was slipping down the list slightly. The program recommended by these folks was Avast! Since I had just purchased a new netbook, I decided to try Avast! out on it. My main concern was the lack of the ability to schedule scans like I could do with AVG. This bothered me at first until I discovered that I could load Avast! as a screen saver and it would scan every time the screen saver was running. This was even better than AVG's scheduled scan which required leaving the laptop on all night once in a while. Avast! also downloads new virus definitions several times a day so it should be more up to date than AVG was. I now have it loaded on all four of our computers and it seems to be running well. If you download it, just make sure you have the free version as both the paid and free versions are available from the same website. Ken and Chris stopped by today on their way back home to Port Hardy. We have known Ken for many decades from our time in Northern BC and Chris for twenty some years as well. We had a nice visit and then called Bruce and Millie who live here in Campbell River and we all went our for dinner. Ken, Bruce and I were all Union Reps for the Telecommunications Workers Union and worked together for many years. Bruce and Millie invited us over to their place after dinner to break in a new deck that they just finished. It was a great evening and great conversation with old friends. The kind that we do not see very often but when we do, it is just like we have never been apart. It was a great evening and Bruce has good taste in scotch. My son just sent me this video by the Zac Brown Band. He says it describes me to a "T". I could do worse! A cold beer in my hand. The "War" on drugs is lost. The cost of this foolhardy war is taking a huge toll on the economies of Canada, the USA and Mexico. Law enforcement is simply unable to control the illegal cross border traffic in drugs and the citizens of all three countries are paying the price. Mexico has taken the lead by decriminalizing personal possession of small amounts of all drugs and Canada has long ago ceased prosecution for possession of small amounts of marijuana. We are all waiting for the USA to come to their senses as well. Legalization would bring an immediate end to the violence on the USA Mexico border and allow millions of dollars per day of taxpayers money to go back into general revenue to help pay for things like education and health care. The extra taxes created by the sale of drugs as well as the income taxes paid by those involved in the legal production would further swell the coffers. It would be a win-win situation. We had to make an unscheduled trip down to Victoria yesterday. Norma's brother, who has been in a wheelchair for many years, developed an infection in his leg. He went into the hospital and they immediatlynremoved the leg! He is quite cheerful and looking forward to therapy so he will be able to transfer from bed to his chair easily. His comment was, "That is sure the easy way to lose 65 pounds!" They removed the leg the day before his 65th birthday. He has been having problems with his legs for years with many hip replacements and a final experiment with a cadaver bone. None of them really worked all that well and he is looking forward to gaining some mobility. I guess we are all getting older. We stopped at Brooks & Linda's on the way home and as luck would have it, they had the granddaughters! Sierrah, the youngest, was quite taken by my new 10" netbook and decided that is what she wants to spend her savings on. She has almost enough in the bank and made a very compelling argument for her case so I told her I would help her find one. I'm Not Much Good When I Have Nothing To Do! I get bored and cranky when I have no projects. Lots of times I have projects and don't do them, but at least I have a project! When Norma was young on the farm in Nanaimo, a neighbour had a wood fired sauna. She always talks about how nice it was and how she would like one of her own. I have always been lukewarm on them myself. Once or twice a year in a hotel usually gave me my fill of saunas even though I am Scandinavian and should thrive on them. I always told myself they were too expensive for the few times we would ever use it. Like the hot tub that found it's final resting place in the dump. My son told me to check out eBay for electric sauna heaters because they were not as expensive as I thought. I did and found I could get one to heat a 6 X 7 sauna with a 7 foot ceiling for $250 USA shipping included! Brooks offered to supply the cedar for free from his fencing business and him and LindaLee will help me build it. The workshop is already wired for 240 with two 30 amp breakers so it will be a very easy weekend project to build one as another lean-to on the side of the workshop. I can even add a cold water shower on the end of it where no neighbours can peek. Now I have a project and I may even grow to like saunas. Sorry I have not been posting lately but there is nothing new to report. I know I am usually good at making something out of nothing but lately there has been nothing nothing. We painted the garden shed between rainfalls and it looks pretty good. Right now we are reorganizing my computer room to accommodate some stuff that has no where else to go. We added one of those cheap do it yourself bookcases for the corner. Somehow the laser printer quit communicating with Norma's computer so I will have to spend some time on that. The weather has been the shits so I have no ambition and Norma can't work in the garden so she is in the house all day bothering me. I want to go to Mexico! We went down yesterday for our Hepatitis A booster shots. $55 each for the prescriptions and nothing for the injection by our doctor. Our prescriptions are free after the $300 deductible per family but we seldom ever reach that. Yea Socialized Medicine! I never will understand the Americans refusal of an affordable system of their own. I guess they just believe the crap put out by the health profit industry and idiots like Sarah Palin and Glen Beck. If they go bancrupt because they can't afford to buy their hospital administrator a new sailboat it is their own damn fault! Sorry, the weather has got me down. I want to go to Mexico. Like I said, there is nothing new. Arco Norte is Confirmed Open! A reader sent me a copy of a PDF from their friends who have traveled the Arco Norte from Jilotepec (off Mex 57D) to Texmelucan (West of Puebla). This confirms the route is now open! This is great news for many people making routing plans as it avoids the nightmare of the DF (Mexico City) and the maze that used to be the old bypass. The scan is not perfect as there seems to be bottoms of some pages missing but enough is there to get the idea. There are also some photos. We finished Norma's lean-to garden shed (with the oak laminate floor!) on the side of the workshop and I built four deep strong shelves in it. It was now time to start moving stuff in. The lawn mower that we never use anymore now that we have a "Lawn Guy" found a home against one wall under the shelves and all the long handled garden tools got hung on the long wall across from the door. One shelf was dedicated for garden chemicals and such. We then started bringing stuff in from the workshop. It was tough knowing where to start! There were three tarps that were laying on the floor because all my shelves are full. We folded these up and they went on a shelf in the garden shed. This exposed two five gallon containers partly full of house paint from last summer. Some of this will be used to paint the garden shed when we get a chance, probably tomorrow if the rain holds off. They went over to the garden shed beside the lawn mower. This is working out good! We also found three bags of concrete products that had hardened in the high humidity and were not only useless but too heavy to throw out with the garbage. They went up on the slope behind the house where they will become "rocks" after the rain finishes the job of hardening them. Next came literally dozens of smaller paint cans with a little "touch-up" paint left in each of them, all labeled as to what room they were used in. Most of them were years old and useless. The garbage rules here says they will take paint cans as long as they have no lids on them and are empty. So what to do with about five gallons of useless paint? I dug a hole amongst the horsetails that decorate the back slope and poured it in. This is probably highly illegal but I know from experience that nothing will kill those horsetails! Anyway, it was all latex. If it does kill them, I will be doing it more. Another of Norma's shelves was filled with the more recent paint cans that were still good. That emptied everything off the floor of the workshop and after the workbench got cleaned off, nails and screws organized, hand tools hung up and the floor swept, it looked pretty good. It is now a workshop again. Our house sitter wanted to do this herself this winter so she would know where all the tools that she will need to do some work on her motorhome are but she simply did not know how bad it was! This will make life a lot easier for you Rae and I think you will have your hands full anyway with work on your rig. It will need a lot of reorganizing again by the time we leave so you will not be lacking for chores. I have been busy on the local Craigslist lately. I recently purchased a couple of new lenses for my Nikon digital SLR on eBay which made surplus a couple of old lenses. The first was a 90mm true macro Tokina that was manual focus and therefore did not work on the new camera. It sold in about a week for $180 which was pretty good because I only paid $300 USA for it and got several years of use out of it. Next went a couple more surplus lenses, one Nikon 18-70mm that had some dust in it that I was not happy with. It went for $50 after full disclosure. The last was a Tamron 28-70 that I bought many years ago for my old film Nikon. I got $45 for it. These were all pleasant experiences with local buyers. I then put my Nikon F-801 film camera on Craigslist just to see if there was any interest in the old technology. I got one very strange offer. Someone indicated he was interested and asked me what my very bottom price was. I was asking $50 and lowered it to $45. He answered immediately that he would pay me the asking price of $50 and was adding $100 to it if I would mail the camera to his son who worked in the USA Embassy in West Africa. He wanted me to send him my PayPal information so he could make the payment, told me to wait until the payment cleared and then mail the camera. Alarm bells started going off and I told him his son could probably find a similar used camera for much less than $150 in Africa and asked for some details. He answered that he worked at the British Embassy in Ottawa and that it was a birthday gift for his son. He was a very busy man and had no time to shop for a gift and that money was not an issue - I was welcome to keep whatever was left over after the shipping costs. All his correspondence was in very poor English that looked like it had gone through Google Translator. I told him I suspected a scam and that he had a lot of convincing to do before I would give him any financial information. He never answered. I still can't figure out what the scam could be if I waited until the payment cleared but I am sure it was a scam. Yesterday in Mexico we had a Pastor hijack an airplane on instructions from the Big Guy himself. Yes, Pastor Josmar Flores Pereira, part time drug addict and Born Again Pastor of the ‘Exito Familiar’ (Family Success) Christian Ministry in Cancun is the lone crazy who was told by God to hijack the 737. His "bomb" was a can of beans with some wires and lights taped to it. His mission was to warn the President of Mexico that God was celebrating 09/09/09 (which is 666 upside down as everyone knows) with a disastrous earthquake in Mexico. God told him to tape some wires to a can of beans, hijack an airplane and go spread the Word. One thing you did have to admire though was how this was handled by the army and Federalis. Once the aircraft landed they took very quick control of the situation and ended it with no injuries. Very professional. A small pod of orcas passed by this morning heading north. They go by fairly often but usually pass through to quickly for me to get my camera and walk down to the beach to avoid getting the phone and power lines in my shot. This morning was different, they hung around feeding for a while. This was taken with my 70 – 300 Nikon lens at the 300mm setting. I still had to blow it up quite a bit. Now What Was Wrong With That? 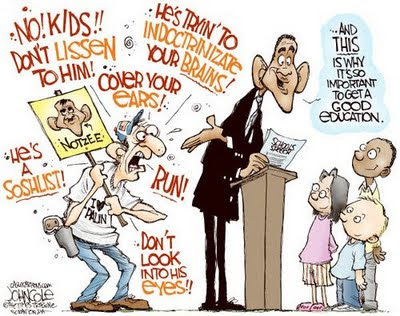 I just watched President Obama give his pep talk to school children. It was very inspirational and educational and I am sure every child who watched it benefited from it. This is the presentation that Republicans were setting their hair on fire over and demanding they be allowed to keep their kids home to avoid being exposed to: "Be sure to wash your hands", "Don't be afraid to ask questions or ask for help. I do it every day", "Stick up for kids who are bullied", "Every one of you is good at something", "Show up for school and work hard." Are these not Republican values as well? My God, this is going to turn them into little Communists? It is no wonder the American "Crazy Right" is loosing their credibility internationally. I don't think I have ever seen things so polarized in the USA. And for what? A recent poll showed a huge percentage of Americans say they prefer the "Health Care" they have now over a socialized system. Well, maybe you haven't noticed folks but you don't have a health care "system" now! Your present "system" is a user pay system for which too many users can't afford to pay! We have seen too many older folks working as greeters at WalMarts just to be able to afford to pay the premiums on their health insurance. The airwaves are flooded with doom and gloom stories about countries that do have socialized health care, including Canada. I don't know where they dig up these folks who are reporting horror stories about our Canadian system but we have used it for decades now and have never once had a problem. We choose our own doctors and all decisions are made between us and our doctor. We have had all our grandparents, parents and one sibling pass on and not one of them was subjected to a "Death Panel". They simply do not exist except in the warped minds of Sarah Palin and those who share her IQ. There are two things that we all deserve and should expect from our governments: Education and Health Care (including care for the elderly). This is more important than fighting wars. Anyway, I was encouraged to hear the President address the school children. This is the type of thing that was lacking in the USA for eight years. There are no losers here, only winners. Sunday was a lost day! I should have stayed inside watching TV all day but instead I went out to start wiring the new shed. It took me about two hours to get the Loomex run and stapled in. I then started installing the switch and outlet boxes but had to quit after cutting the pointing fingers on BOTH hands with my razor knife and bled all over the nice oak floor. That is it for the day! Brooks and Linda got safely back to their home on the Malahat. My Honda keys had mysteriously disappeared and I remembered Brooks used the car to go to the store. I asked him to check his pockets and there they were! Luckily I have a spare key attached to the motorhome keys but I need the tiny Swiss Army Knife that is attached to it. Today I will again attempt to finish the wiring. It is a good thing I don't drink often because I suffer from three day hangovers! This is only day two. We have been lacking a garden shed since we moved in here twenty years ago. There was a tiny phone booth size structure in back that used to be a smokehouse for the previous owners who smoked fish there. Norma commandeered it to store her garden tools in but they quickly overflowed into my workshop. The workshop has now gotten to the point where it is unusable as a workshop because it is so full of "stuff". This weekend our son Brooks and Linda came up and we decided to build a 10 X 4 lean-to on the side of the workshop to store the garden supplies. Working between rainfalls onFriday we got the floor built and the walls raised and on Saturday we put the roof on and added a large door. I had a couple of boxes of laminate flooring left over from the TV room project a couple of years ago that were in the workshop taking up space and picking up moisture. This got laid in the new garden shed to reinforce the half inch plywood floor and to make it the only garden shed I have ever seen with an oak laminate floor! Linda's mom and dad came up from Victoria on Saturday for a visit and I made my new specialty, Red Snapper Veracruz or "Pescado Veracruzana", a concoction of tomatoes, onions, garlic, olives, capers and herbs poured over red snapper and baked. Everyone agreed that it was delicious and the pot got licked clean. The evening ended with everyone dancing to my collection of "oldies" while enjoying a little wine and sampling a really nice bottle of Single Malt that Brooks brought up for his favorite dad. Brooks and Linda are partners in a fencing business that has finally turned the corner and is making money! They are getting almost more business than they can handle so it is difficult for them to take a couple of days off to visit. They are booked up until the end of the year and the phone is still ringing. They hope to take a month off for a visit to Mexico early in the new year. We are really happy for them and very proud of them. It is difficult to make a go of a small business in today's economy but they have done it. They are both hard workers! Yes, I know. It is a mess but it is under construction so give me a break. I will do the wiring in it next week while Norma gives it a paint job. It will look good. Talk about overnight delivery! The computer left Vancouver at 5:00 yesterday and was delivered to my door at 8:30 this morning! I am posting from it now. I got the 4400 mAh battery and the mat screen. Haven't tried it in the sun yet as it is raining. The battery charged for about two hours and then the indicator went from yellow to green indicating a full charge. I used my thumb drive to install AVG and Firefox. Worked like a charm. I decided to skip the Norton 60 day trial and go directly to AVG simply because of my past experiences with NAV and my good experiences with AVG. The plug on the end of the power cord does not seem to make a really good connection. If the wire moves during the charging period sometimes it switches over to battery. The power plug is about half the size of the one on my cell phone! I will have to watch this. 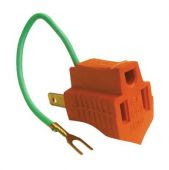 EDIT: After a hint from Jack on the Escapees Forum, I pressed the connector a little harder and it "clicked" into place for a very solid connection. So far I am very happy with this little unit! I like the keyboard. I was concerned about the smaller keys but it seems easy to work with. I sure notice the screen real estate! After the five toolbars at the top of the screen, there is not much room left to work in. I tried changing the resolution from the default 1024X600 but although I could read it, it involved scrolling to see the whole screen. Edit: Bob on Escapees told me about the F11 trick. Press F11 and you get full screen mode! Magic! I am now busy installing bookmarks to my banking, Gmail and my Blog. I am sure I will have more to add later. I have been researching and looking for a 10 inch Netbook. The old eMachines laptop is simply too heavy to pack around Mexico’s centros in search of a WIFI signal. We did this for two winters now and after three or four hours of packing that thing, my shoulder is sore. Plus trying to take a photo with a ten pound laptop and power supply swinging from your shoulder is tough! The netbook is only about three pounds. I have been looking for an Asus Eee 1005HA netbook with Windows XP on it for a while. Today I checked everywhere in town and the best price I found was at Staples for $449. I searched the Internet for Canadian suppliers and found Compu2000 in Richmond BC who had two of them left with the larger 8.5 hour battery for $369. They are $299 USA in the States at Target stores but these may or may not have the larger battery. The Richmond store had a free shipping deal on right now so I ordered one in black. My first choice was blue but they had none. We will still have the old laptop in the motorhome for photo work and doing the finances. The netbook will just be for Internet browsing, email and posting the Blog.